Games are an integral part of our lives now. Playing games has become popular culture and you can even earn a living now just by playing games. The success of games can be attributed to many things. But one big appeal must surely be the range of skills we can learn just by playing games. 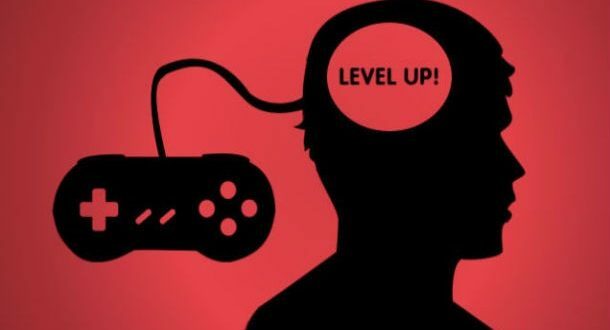 So, what are the big skills gaming has taught us? Here are seven things you have probably learned during your years of playing games. Games are good at teaching you how to get people to do what you want them to do. You learn this skill in both single player and multi-player games. You simply can’t go through a game without asking someone a favour at some point in the journey. Games teach this subtle art. You learn to be nice, persistent, and good at reading what people actually want. You know not to coerce or blackmail anyone but that there’s always something you can give in return. Most games are rather fast paced – you don’t have forever to know which level to pull or who to trust. When it comes to gaming, you really learn to obtain information much faster. This can be especially important in terms of reading things. Now, most of us never got to read everything in Skyrim but at least we had to pay attention to the main things – you had to be able to know where to go, what to do and so on. Staying calm under pressure is important in the real world just as it is in the gaming world. You need to keep cool when you’re taking an exam, faced with an emergency or when the world around you is going nuts. Games taught us to do just that. When it’s raining hellfire missiles on top of you and you need to rescue the princess, you don’t have time to panic. You got to take a deep breath and find your way to victory. The same applies in life – you just need to keep calm and carry on. Games teach you to stay organised. We’re not just talking about Tetris and how it can help you become better at stacking different blocks together. Organisation in games is everywhere. Notice how bag size is often a problem? Well, you quickly learn to organise your things and de-clutter your stuff to fit in more of the good. You definitely want to use this skill in your everyday life – so put those organisation skills to good use. Games are rather good at teaching you how to time your moves – not just physical moves but verbal as well. In order to succeed in a game, you must know when to make the jump and press the button. It essentially teaches you awareness and patience – timing isn’t really about being the fastest but knowing when to be at the right spot. The same applies to life – you need to be patient and know what is going on around you. When the time is right, you can jump at the opportunities in front of you. When it comes to money skills, you definitely want to take in everything games teach you. Most games are good at teaching frugality – how to make the most of what you got and save your pennies for the rainy day. In games like World of Warcraft, you have to learn to make money by selling and more importantly know when to buy – shopping those flasks on a reset day is not frugal! You might not be able to accumulate a million gold on your real bank account, but the lessons you learn about money from games are worth keeping in mind in the real world as well. Perhaps on of the top skills is the strategic thinking games have taught us. You need strategic thinking in all sorts of games from playing Q went to winning in Counter Strike. You need to learn how to devise a plan and then the moves to executing your plan. Strategic thinking, in games or in real life, isn’t just about never failing either, but knowing how to learn from the mistakes you’ve made in the past. As you can see, games are superb. They teach us real skills and life lessons. There is no reason not to get your hands on the latest titles and play a bit more – just do it in moderation! Don’t forget to put the above skills to good use and shop for games at OZCodes. The savings on offer will help you be frugal and perhaps stretch your money to cover more games than you thought. Next time you’re playing a game, just think about the skills you’re gaining. If you find yourself in trouble in real life, just put your game skills to good use.